Dr. Harris has played a major role in the development of this organism as a model system. 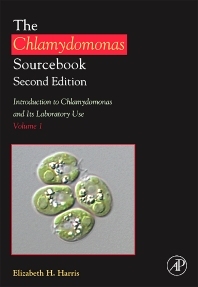 Her previous version of the Chlamydomonas Sourcebook which published in 1989, has been a classic in the field and is considered required reading for anyone working with this organism. This latest edition has been expanded to include three volumes providing molecular techniques, analysis of the recently sequenced genome, and reviews of the current status of the diverse fields in which Chlamydomonas is used as a model organism. Methods for Chlamydomonas research and best practices for applications in research, including methods for culture, preservation of cultures, preparation of media, lists of inhibitors and other additives to culture media, are included. Additions to this volume also include help with common laboratory problems such as contamination, student demonstrations, and properties of particular strains and mutants. This volume is part of a 3-Volume Set (ISBN: 978-0-12-370873-1) and is also sold individually.